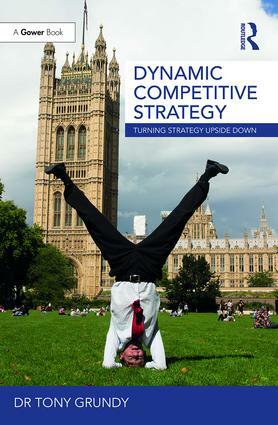 Dynamic Competitive Strategy by best –selling author Dr Tony Grundy casts a radically new light on Competitive Strategy by showing you the dynamic dimension of existing strategy tools and new ones created to deal with rapid innovation and turbulent change. The alien approach: how might an alien see your industry and business? infamous honey badger and others from everyday life. strategy upside down," as he does on the cover. Dr Tony Grundy is Director of Strategy and Corporate Development and has lectured at leading Business Schools such as Cranfield, Cambridge, CASS, Durham, Henley and Warwick. The author of 21 books, he works globally across all industries to design and facilitate strategy process, and train or coach senior executives in Dynamic Strategic Thinking.